Key West has a reputation of being a hideaway to literary greats like Truman Capote, Ernest Hemingway, Judy Blume, Wallace Stevens, and Shel Silverstein. 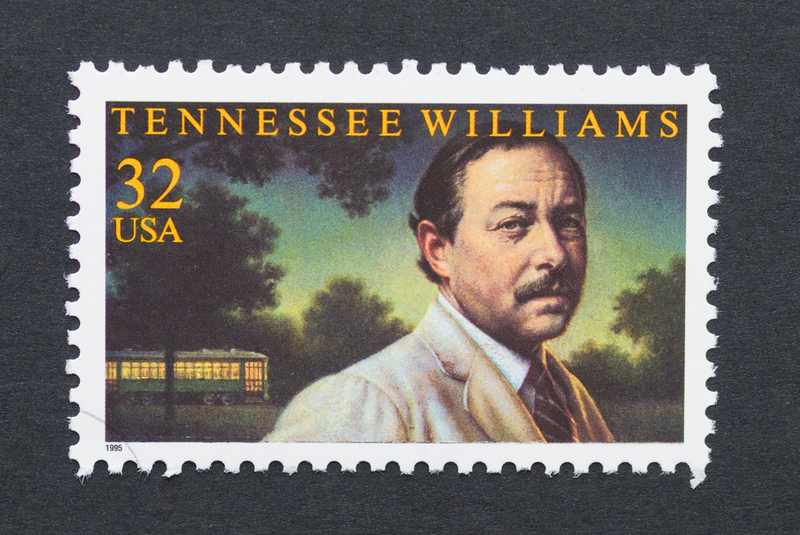 Curiously enough, the most overlooked is one of America’s greatest playwrights, Tennessee Williams, who called the island home for 34 years. Williams lived in a modest cottage tucked away on Duncan Street in Key West from 1949 until his death in 1983. His iconic plays of the 20th century included A Streetcar Named Desire, Cat on a Hot Tin Roof, and The Glass Menagerie, all of which launched the writer into the spotlight after being developed into motion pictures. But years before the writer’s fame peaked, he was a frequent visitor to Key West. It’s said that he finished writing A Streetcar Named Desire during his stay on Duval Street in 1947. The play went on to win him a Pulitzer Prize. Williams’ life on Key West was quiet, though he was well-known around the island. He got around on bicycle and was also a frequent patron of Capt. Tony’s Saloon, a local watering hole that is still open to this day. He is credited for attracting national attention to Key West’s gay-friendly atmosphere as early as the 1940s. But like all great writers, Williams suffered from depression and substance abuse. The death of his partner in 1963 exacerbated his alcoholism, though he never stopped writing. He struggled to win the praise of critics until his death in 1983. Only in recent years did the late writer begin to receive his due credit in Key West. Now, every March, his birthday is celebrated with play productions, poetry and short story writing contests, painting contests (Williams was an avid painter), and movie screenings at Tropic Cinema. Guests can visit the Tennessee Williams Key West Exhibit to get a better glimpse of the writer who largely remained off the grid, even after his death. Old notebooks, a typewriter, photos, newspaper clippings and more are on display. The Tennessee Williams Key West Exhibit is located at 513 Truman Ave., off Duval Street. Does the current forecast have you thinking of bluer skies? Book with 24 North Hotel for a seamless stay in Key West.